Graded GOOD 30 by SGC. 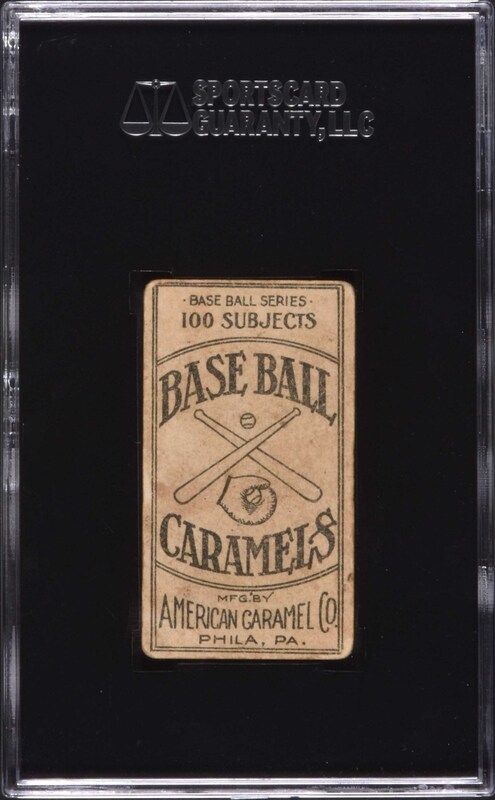 Presented is the key card, Honus Wagner, from the 1910 E90-2 American Caramel set. This very scarce set was regionally issued in the Pittsburgh area, and features only members of the Pirates, the National League champions of the previous year. This is one of Honus Wagner's most striking cards, and features a portrait image reminiscent of the pose on his famous T206 card. Bright and crisp, with perfect colors, flawless registration, and an extremely bold blue background. The card has been downgraded due to a few small creases, rounded corners, and some light soiling on the reverse. 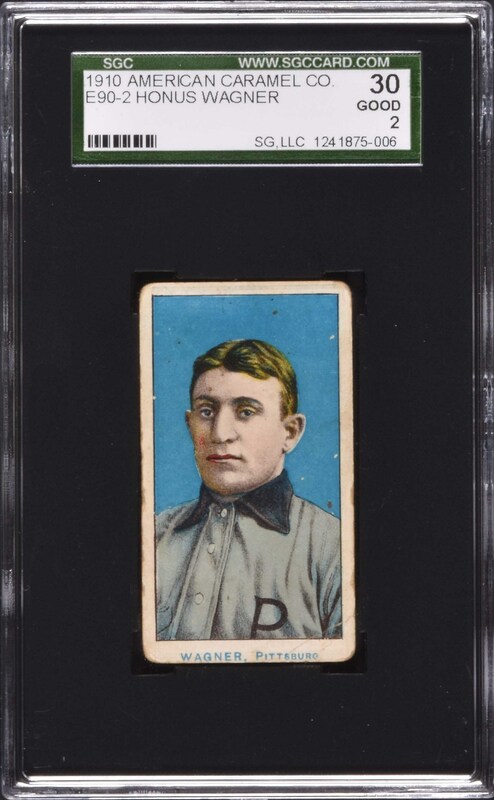 Despite these flaws, this remains a very presentable example of this card, which is universally recognized as among the most classic and popular of all 1910-era Honus Wagner cards. Reserve $1,000. Estimate $2,500+.